Cook your pasta, rinse with cold water, and drain well. 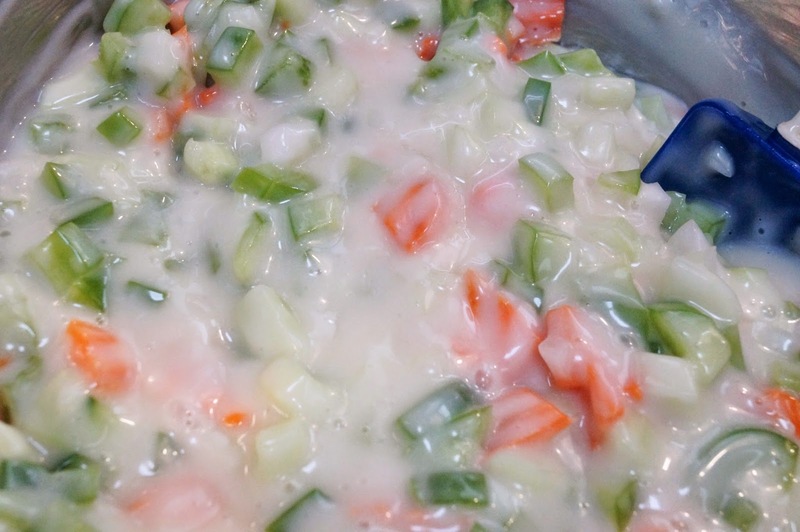 In medium bowl mix together the mayo, sugar, and vinegar. You may find you need more vinegar for bite but wait until the veggies and pasta are mixed in before you determine that. Gather your vegetables. You can use baby carrots since they are already peeled or use carrot chips chopped up as I did here. If you like red onion use it, other colored peppers - that is fine too. Use more or less of your favorites. It's your salad! 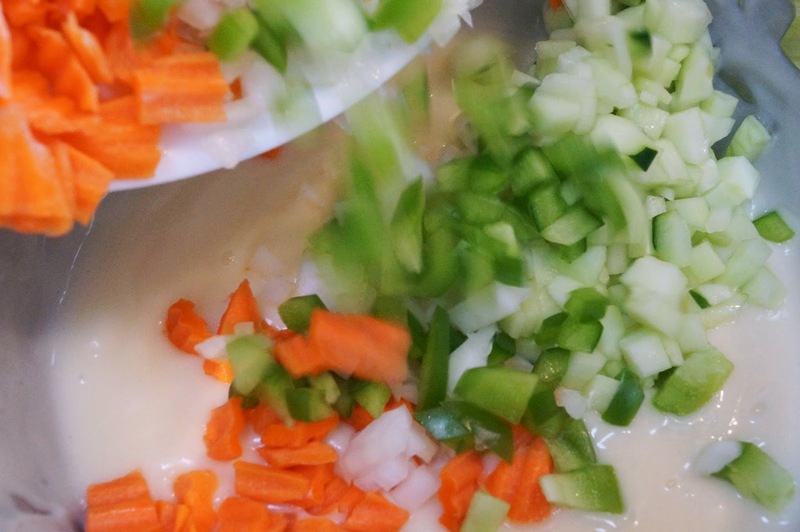 Dump the veggies into the dressing. Dump pasta in and mix well. 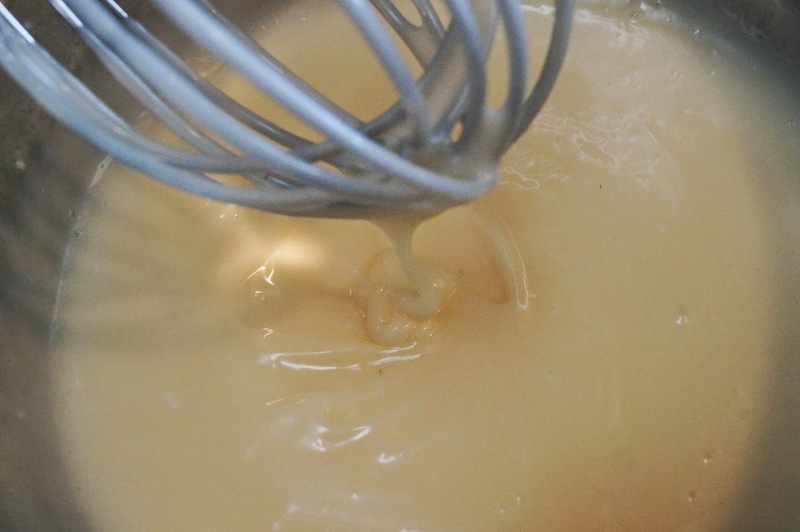 Take a taste, if it needs vinegar you can drizzle in up to 1/2 Tablespoon, stir and taste again. Place in fridge to chill. 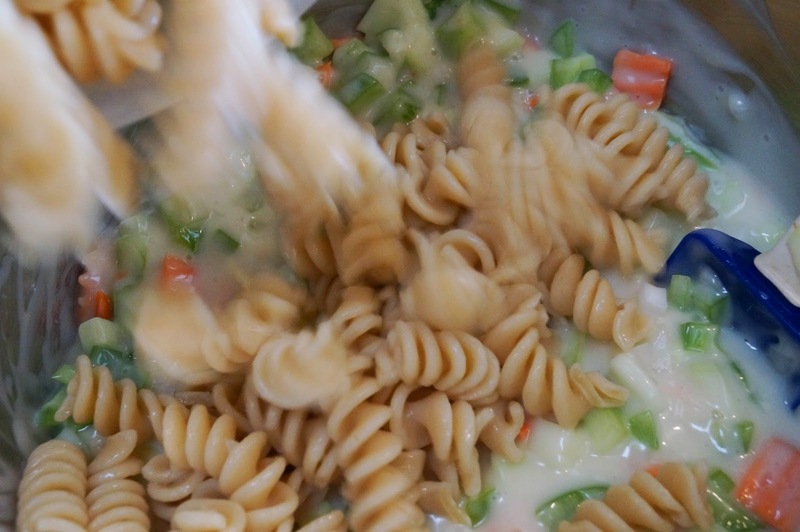 If you find that the pasta soaks up the dressing too much and you want it more creamy you can add a little bit of milk. * I used fusilli pasta. ** I use 1 cup chopped cucumber. *** I omitted the celery. Pasta salads are so yummy, especially for summer BBQs. Looks so creamy and delicious no wonder why it was a big hit! Love pasta salads especially in summer! 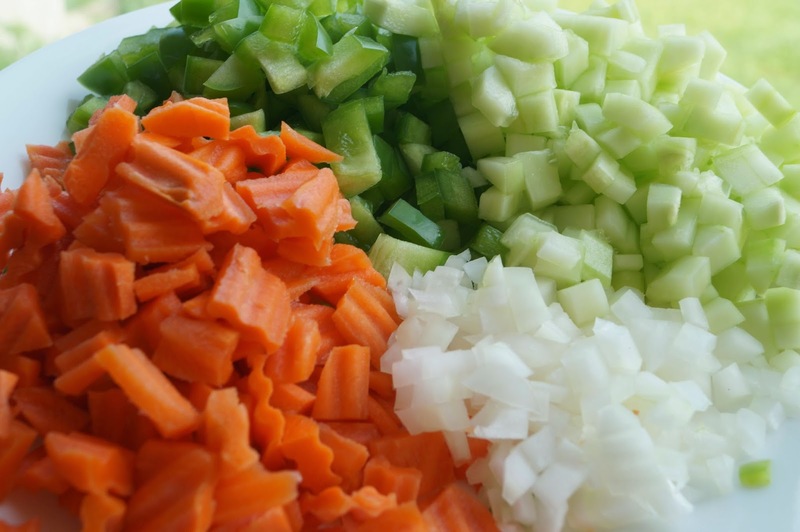 I love all the flavorful fresh veggie in this pasta, like the celery, onion, and carrots. I am sure this gives it great flavor. Thanks for sharing. My family loves pasta dishes. Your pasta salad looks delicious. I love all the fresh vegetables, colorful and healthy! Yummy!! I love summer salads,especially with fresh veggies!! Thanks for sharing! 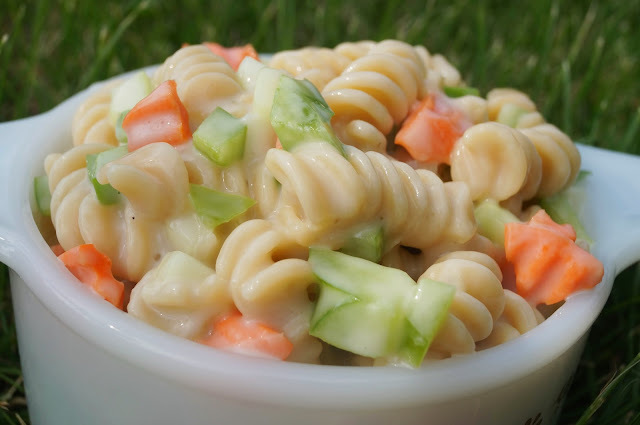 A creamy pasta salad is always delicious especially with grilled burgers. So good. 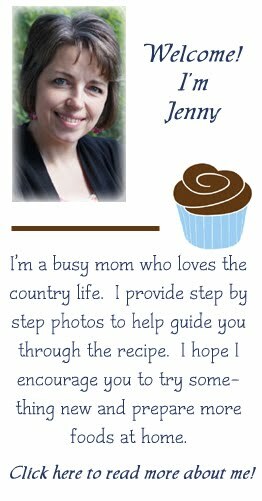 Thanks for sharing your recipe. Pinned/shared. A delicious looking pasta salad, Jenny so colorful!